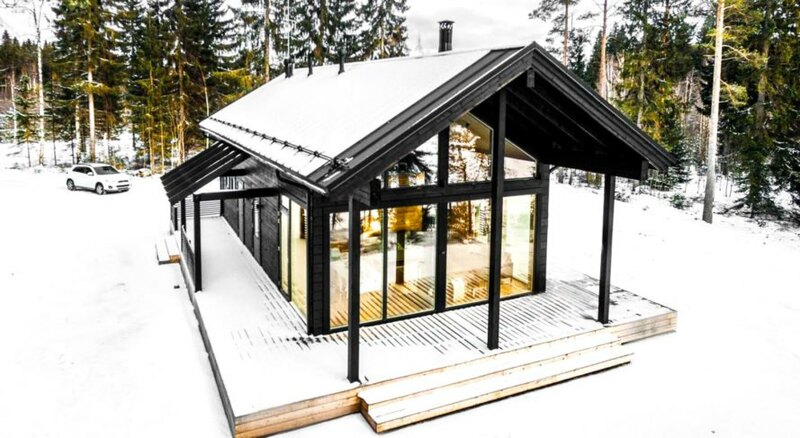 This may look like a traditional log home, but unlike other homes, it can withstand harsh winters and freezing temperatures down to -30°C (-22°F) without a huge impact on the environment. 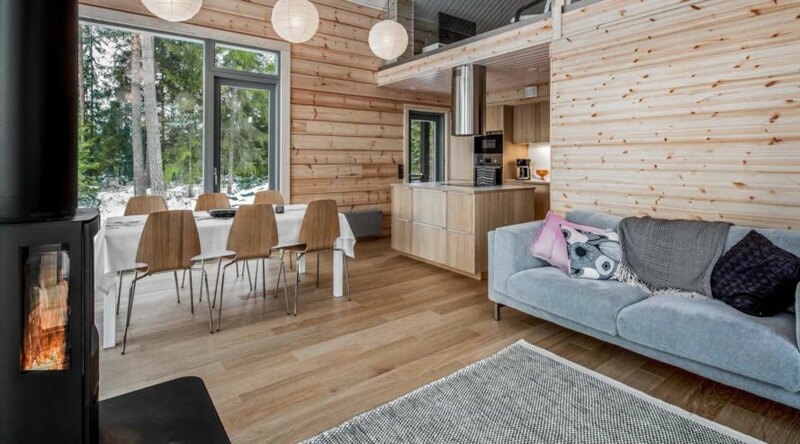 Finnish architecture firm Pluspuu Oy designed the Log Villa house in Finland as an energy efficient modern residence for cold climates that offers optimal living conditions thanks to a well-insulated envelope and the use of geothermal energy. 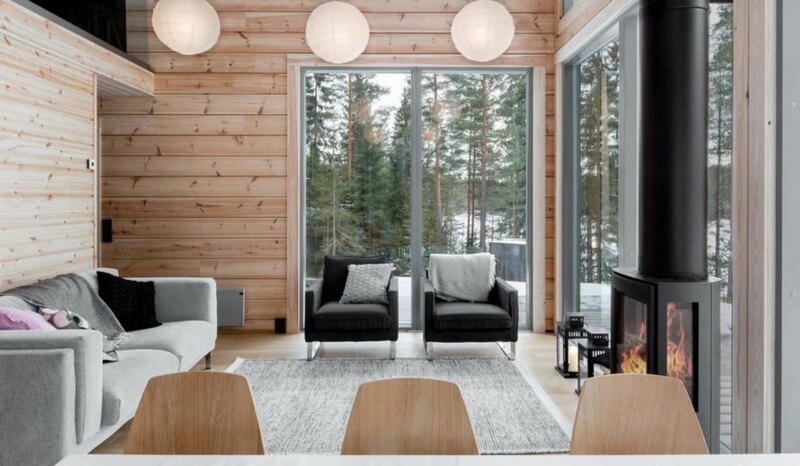 The Log Villa sits near a beautiful lake in Central Finland and offers panoramic views of the surrounding landscape. Thick laminated timber logs constitute the envelope and features three-layer glued pine as the outer layer. This allows the structure to withstand extremely low temperatures. Although the design references traditional log buildings of the region, the villa’s envelope has no overlaps or visible cross corners. Geothermal energy is the main source of heat, which is pumped out of a well drilled in the ground. During the summer, when temperatures can go up to 30°C, cool air is pumped from the ground into the building. 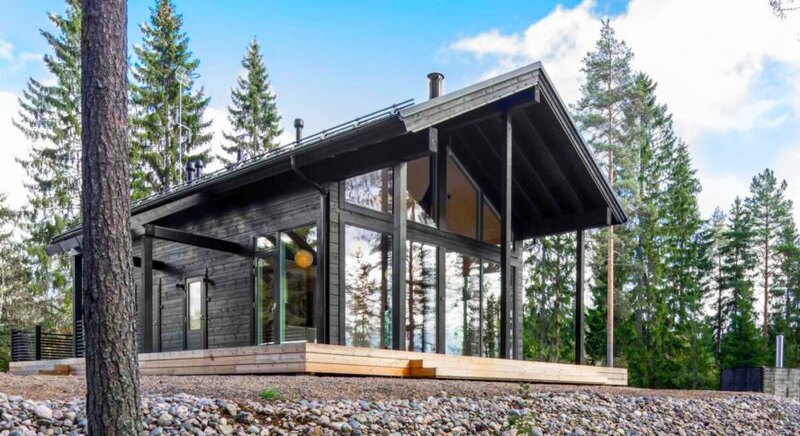 Triple-glazed thermal glass and blown-in wood fiber insulation make the envelope airtight and contributes to the ecological construction approach. 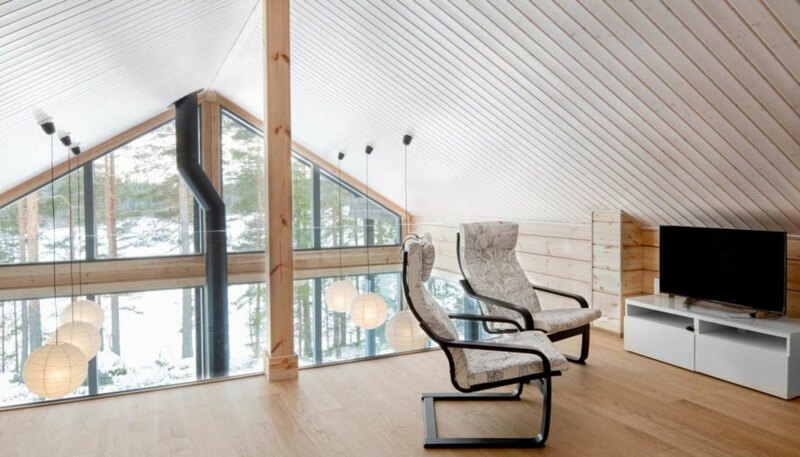 Nordic architecture is suitable only for temperate weather . Vietnam can only apply that style in the northern highland provinces. The architectural style of The Ngôi Nhà Xinh JSc was according to most of tropical climate. 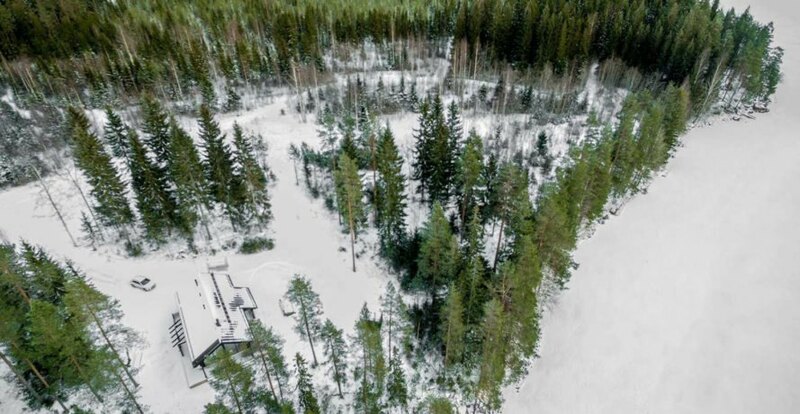 This may look like a traditional log home, but unlike other ones, it can withstand harsh winters and freezing temperatures down to -30°C (-22°F) without huge impact to the environment. 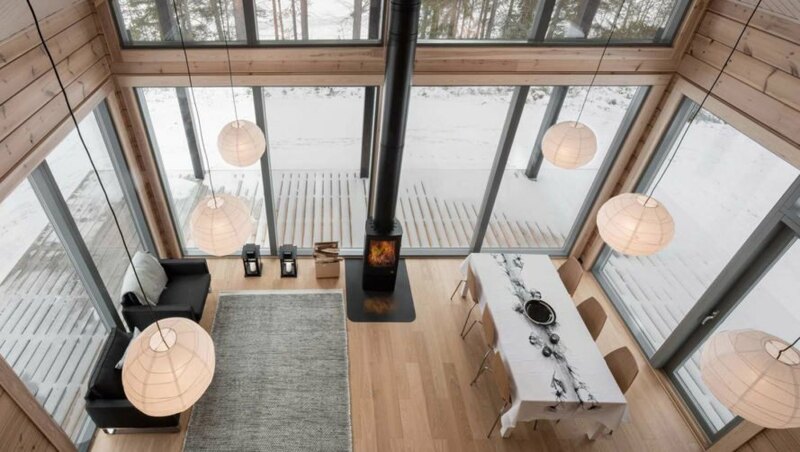 Finnish architecture firm Pluspuu Oy designed the house in Finland as an energy efficient modern residence for cold climates that offers optimal living conditions thanks to a well-insulated envelope and the use of geothermal energy. 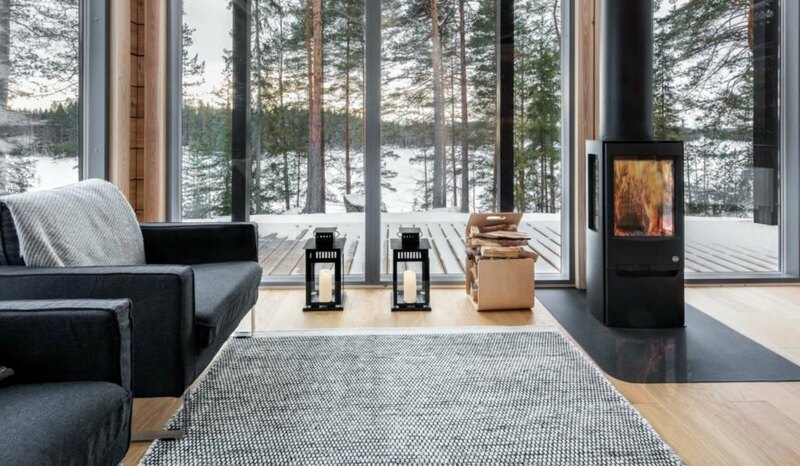 The Log Villa sits near a beautiful lake in Central Finland and offers panoramic views of the surrounding landscape. Although the design references traditional log buildings of the region, the villa's envelope has no overlaps or visible cross corners. Thick laminated timber logs constitute the envelope and features three-layer glued pine as the outer layer. This allows the structure to withstand extremely low temperatures. Geothermal energy is the main source of heat, which is pumped out of a well drilled in the ground. During the summer, when temperatures can go up to 30°C, cool air is pumped from the ground into the building. Triple-glazed thermal glass and blown-in wood fiber insulation make the envelope airtight and contributes to the ecological construction approach.